Peter Jones has been something of a phenomenon since he appeared on the Progressive music scene just about 3 years ago, with his debut album, Cocoon. This delightful, nostalgic collection of reflections on childhood was an unexpected delight, and has remained a favourite of mine ever since. Since then Peter's skills and charm and whimsy have been seen again in Story Tellers, in his many covers of Genesis songs for charity, and in his contributions to the work of Red Bazaar, Barock Project and Colin Tench. He has become much in demand as a singer and multi-instrumentalist. There is a certain quirkiness to Peter's music that is endearing, and his sense of humour is bright and, for many, enlivens his broadcasting on Progzilla. 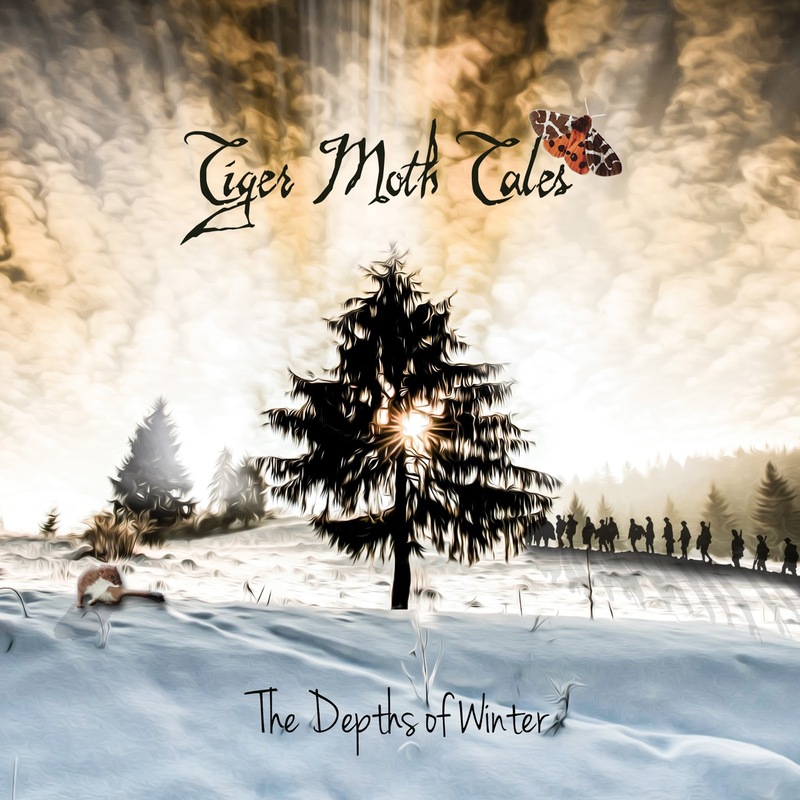 But an ever increasing number of fans have been waiting in eager anticipation for some new material from Peter, and now, at last, the wait is over, with the release of The Depths of Winter. And with this album there's both a sense of continuity and one of change and progress. There is a subtle difference to the music on this release. This is a more 'serious' album, in that the subject matter is less frivolous (so to speak), and there is a subtlety and maturity to the compositions that shows clear progression from the earlier albums. There is still the great narrative songs that have thrilled listeners in the past: The Ballad of Longshanks John and The Tears of Frigga; there are some subtle and stirring instrumental pieces: Winter is Coming, Sleigh Ride, and Winter's End; and there is inspiration from varied sources: Wilfred Owen's war poetry (Exposure), the loss of a loved one (Take the Memory), the Scandinavian concept of Hygge, and even the simple desire to survive the coming cold (Winter Maker). But there's perhaps hidden meaning in some of the songs: Migration is billed as a song about an animal separated from the group while on the move, but could quite easily, for me, be a song about those seeking refuge and asylum from more human circumstances. Musically Peter continues to draw his inspiration from the formative years of Progressive Rock, and there are clear echoes of Genesis in some of the music, as well as hints of more contemporary influences, such as Big Big Train, and classical sources too. Peter is not afraid of challenging time signatures and a breadth of instrumentation, both played by himself and by others. But for a collection of songs that draw their influence from the cold of winter, this is warm album: it delights the heart and renews ones faith in humanity - it is almost the aural equivalent of flagon of mulled wine in front of a roaring fire! If you are familiar with Peter's work, this album will, I hope, continue to delight and inspire you. If his work is new to you, listen and be prepared to be wowed and warmed.